This recipe is based on one in Peter Gail's The Dandelion Celebration; mine doubles the amount of dandelion petals. My first attempt—the muffins—used the recommended 1/2 cup of petals. You can see the color contrast in the two images above, with the bread and its full cup of petals better showing off the dandy essence. I might even add more petals next time. 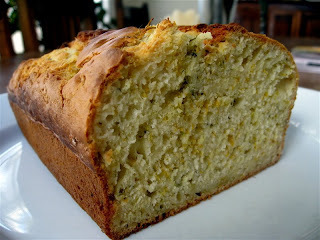 The final product is savory sweet, somewhat like cornbread, with the yellow petals an eye-catching glint of sunlight. This looks likes an easy and wonderful recipe. I'm going to try it! This looks like a wonderful bread. If you are harvesting petals, do you use them in cooking without washing or rinsing them? I imagine that trying to rinse dandelion petals would just result in a big soggy clump. I can't wait to try this ... thanks for sharing this ... I ate my first dandylion last year when Julie, a Vietnamese woman in our allotment told me they were sweet and I should try one! We've let our back yard go to hell in a handbasket, but now I'm happily looking forward at actually using some of those dandelions out there for something practical. Thanks for this! My 7 year old daughter and I made this bread today and it is really good! It does taste a lot like cornbread. We will definately make it again and try some of the other dandelion recipes too. Fascinating!! i'm not new to forageing - and have made both dandelion honey (using the petals) and salads (using the greens), but not dandelion bread. Bookmarked!! This would be my son's version of Heaven! I think I'd enjoy it, too! 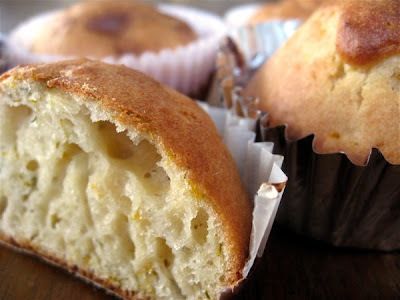 Was just searching for a recipe, spotted on on a blog a long time ago. Thanks for sharing, can't wait to harvest some sunny yellow blooms and give this a go! My ladyfriend and I chose your recipe! Thanks for posting it. Wish us luck for the weekend! Twice the dandelion petals, and a teaspoon of ginger really brought out the dandelion flavor, but I need more ginger in order to actually taste it against the much stronger dandelion flavor. Next I'll try it in cornbread. I made some of your bread today. I swapped out the egg for EnerG egg replacer, almond milk for cow's, and agave for honey. Delicious. I must add that washing the flower heads before you cut them makes them really difficult to handle. So probably better to skip it or wash the petals after they are separated. I tried the Dandy Bread recipe, it was soooo easy, and it turned out beautiful! I will definitely make this again, and I am eager to try other Dandy recipes on your page. Thanks! Can I use melted butter instead of canola oil? Amelia - Yes, but in my experience butter and oil are not always interchangeable in terms of the amounts. You'll need to experiment to get the right consistency. I just made dandelion pesto with the leaves, very nice! and getting ready to try the bread with the petals! should I wash them or not? It literally took hours to cook - can't understand why as I used exactly the ingredients listed. I put it in a 1lb loaf tin and it looked beautiful and high at 30 mins but the inside was mush. Maybe the tin was too small? Leaving it to cool now and hope to eat it tomorrow.